The Greater Sydney Commission acknowledges the traditional owners of the lands that include Central City District and the living culture of the traditional custodians of these lands. The Commission recognises that the traditional owners have occupied and cared for this Country over countless generations, and celebrates their continuing contribution to the life of Greater Sydney. I am delighted to present the Central City District Plan, which sets out planning priorities and actions for improving the quality of life for residents as the District grows and changes. 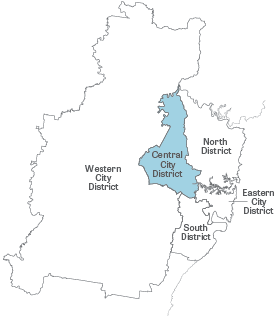 When we consider the District’s extraordinary heritage and civic assets, the stunning Parramatta and Bicentennial parks and Millennium Parklands, environmental and recreational assets of The Hills and Blacktown, vibrant centres such as Merrylands, Granville and Auburn, and the many infrastructure projects planned and underway, we see the District as one of the most dynamic in the region. It is a District with an extraordinarily rich, culturally priceless and intact collection of early colonial buildings including Old Government House, Elizabeth Farm, Experiment Farm Cottage and the State-heritage buildings in the North Parramatta heritage precinct. The District Plan supports Parramatta CBD’s emergence as a powerhouse of new administrative, business services, judicial and educational jobs, with Parramatta Square as its heart and Western Sydney University as its knowledge-producing engine. 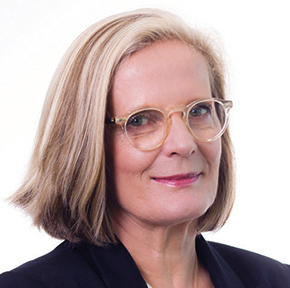 In parallel, the world-class health and education precinct at Westmead, Blacktown Hospital and the surrounding medical precinct, and Rouse Hill and Castle Hill with their increasing education, medical and lifestyle opportunities will become higher density transit-oriented centres for the rapidly expanding population and job base. We are starting to draw on this ambition with our vision for the Greater Parramatta and the Olympic Peninsula, known as GPOP. 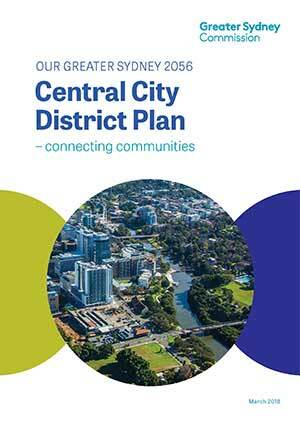 The Central City District Plan puts people first. It includes processes for infrastructure to keep pace with population growth. And it will become a premier location for 21st century innovation – its advanced manufacturing brings a new dimension to traditional industrial land. The Plan considers community and cultural life and the environmental sustainability of the landscape. Work to enhance the Parramatta River, Duck River, South Creek and their tributaries will mean waterways are within easy walking distance of every household. Collaboration is the key to transparent and informed decision-making on the District’s future growth. The Greater Sydney Commission will continue to bring together all parties and channel the collective energy into improved planning outcomes. By taking a leadership role, we focus public resources and expertise to create a more liveable, productive and sustainable future. I thank the former Central City District Commissioner Edward Blakely whose vision and knowledge were greatly appreciated. Finally, on behalf of the Greater Sydney Commission, I acknowledge the important work of councils whose submissions and feedback on the needs of their neighbourhoods, people and centres have been invaluable. Together with the community and other stakeholders, your expertise and interest have helped to produce an inspiring and practical plan.